The US Government is going to surpass another significant milestone this year. According to the recently released data from the TreasuryDirect.gov, the government will fork out a stunning half trillion dollars just to service its debt in 2018. 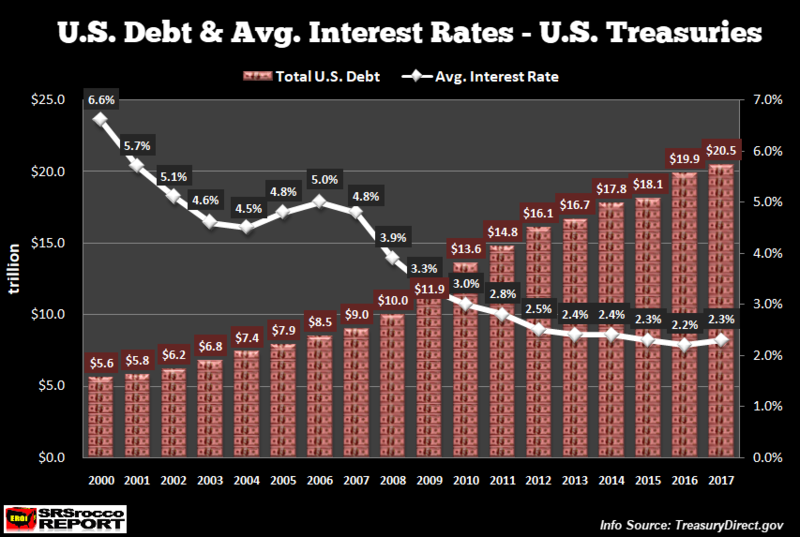 Unfortunately, as U.S. interest rates rise, along with ever-expanding public debt, the cost to service the debt will continue to increase. 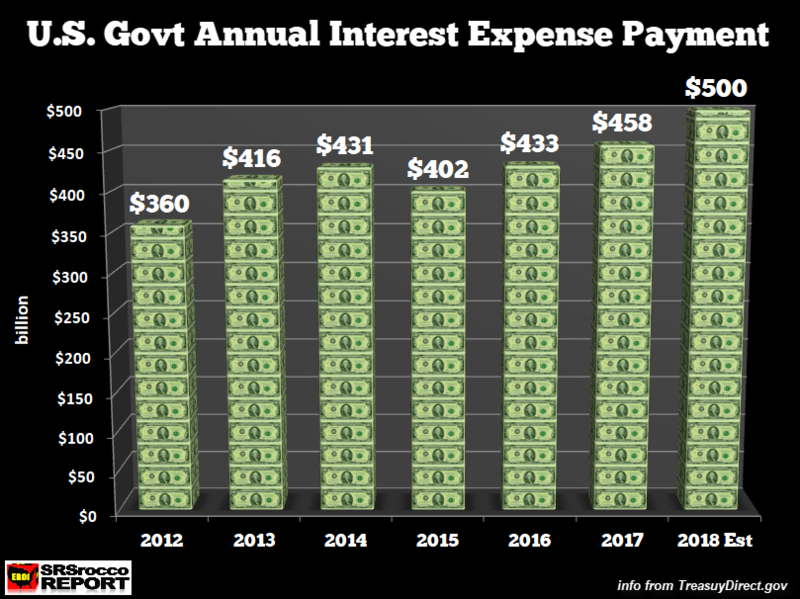 Now, if we consider that the US Treasury paid $83 billion in interest expense for the three remaining months last year, and add it to the current total, it would equal $498 billion. 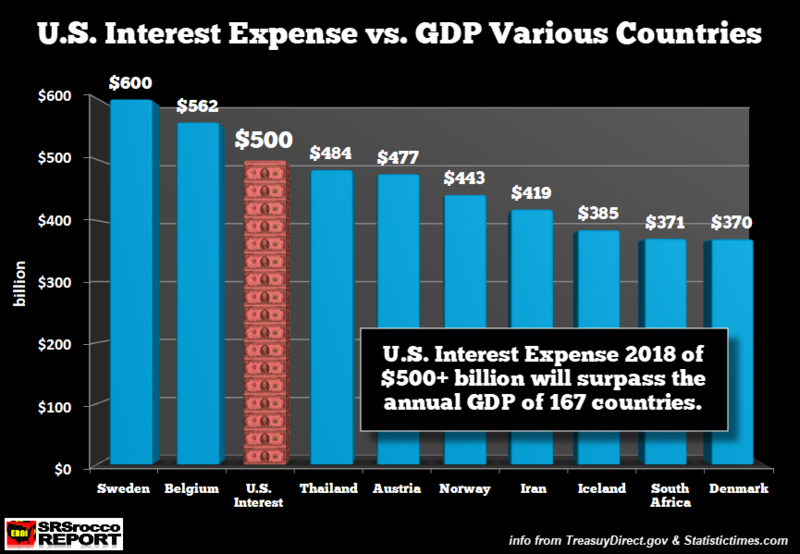 However, the US interest expense is up over 10% already. 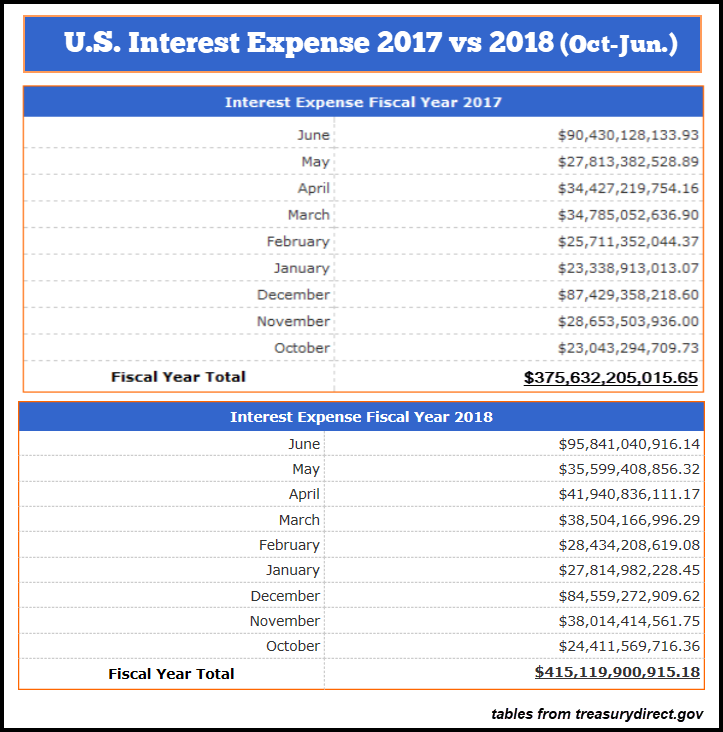 So, if we assume that the interest expense for July-Sept will also be up 10%, then the estimated total debt service for fiscal 2018 will reach $506-$510 billion.